The following draws on the obituary for Peter Benenson written by journalist, Hugh O'Shaughnessy. Hugh was a friend of Peter and was involved in the founding of Amnesty and is an opponent of the recent decision by Amnesty to abandon its policy of neutrality on abortion. Peter Benenson was born in London in 1921. Despite a rather unhappy childhood, including the death of his father when Peter was nine, his innate idealism soon emerged. At Eton, the 15-year-old organised support for the Spanish republican government as it fought the military uprising and he himself "adopted" a Spanish baby, undertaking to pay for its upkeep. He and his school friends also raised money to bring two young German Jewish teenagers to school in Britain in 1939. While at school, Benenson became a Catholic. During World War Two, he met and married Margaret Anderson, a mathematician. He served in the Army in the Ultra code-breaking unit at Bletchley Park. He and Margaret had two daughters. After the war Benenson studied law, preparing himself for a career as a barrister. He joined the British Labour Party. Without success, he tried three times to win a seat in Parliament. In the early 1950s he went to Spain for the Trades Union Congress as its observer at trials of trade unionists and was shocked by Franco's courts and prisons. He went to Cyprus and aided Greek Cypriot lawyers whose clients had opposed British rule. He led an all-party mission to Hungary during the 1956 uprising against Soviet rule and the ensuing trials, and to South Africa to assist opponents of apartheid. These involvements led to his establishing and initially helping to finance Justice, the British section of the International Commission of Jurists. The genesis of the movement which was to be Benenson's principal legacy to the world came when, reading a newspaper on the London Underground, he learnt of two students in Antonio Salazar's Portugal who committed the imprudence of toasting liberty in a cafe in Lisbon. Arrested and tried, they were sentenced to seven years' imprisonment. His first impulse was to protest at the Portuguese embassy. He thought better of it and went to sit in St Martin-in-the-Fields church, where the seed of an idea for worldwide human-rights movement germinated. Within a few weeks, on 28 May 1961, The Observer newspaper carried a long article, "The Forgotten Prisoners", which suggested a worldwide "Appeal for Amnesty 1961" to governments to let their political prisoners go, or at least, give them a fair trial. The first Amnesty campaign in 1961 highlighted the fate of six prisoners of conscience: Angolan anti-colonialist poet and resistance leader, Agostinho Neto; the Greek Communist Toni Ambatielos; Archbishop Josef Beran of Prague and Cardinal Jozsef Mindszenty of Budapest, both imprisoned by Communist dictatorships; Reverend Ashton Jones, a campaigner for the rights for blacks in the US; and the Romanian philosopher, Constantin Noica. The article, reproduced worldwide, had an immediate effect. A number of people, including a lawyer friend Louis Blom-Cooper, and Eric Baker, a leading Quaker, Peter Archer and Peggy Crane were conscripted on to a committee to guide what was to be no more than a 12-month campaign. Groups of volunteers, working out of Benenson's chambers organised supporters in many countries in "threes", groups who would adopt a political prisoner, or "prisoner of conscience" in the West, the East and the developing worlds who was imprisoned on a political charge but who did not espouse violence. Benenson’s project in starting Amnesty was influenced by his religious experience. In his history of Amnesty, Keepers of the Flame, Stephen Hopgood writes that “The Amnesty movement was to be a spiritual awakening that would stimulate moral change in members’ own societies as well” (p.57). It is striking how many of the key early figures of Amnesty had strong religious connections – Quaker, Jewish, Protestant and Catholic. Far from being a secular project, one could argue that Amnesty itself has its origins in the religious commitment to justice. Disputes within the organisation would lead to Benenson’s resignation from Amnesty in 1966. After a period of mental exhaustion, he retired to land he had bought near Aylesbury. Benenson was divorced from Margaret in 1972 and the following year he married Susan Booth, who worked at the Ashmolean Museum in Oxford and with whom he had a son and daughter. Some years later they separated, though did not divorce; they became reconciled when he was in his sixties. In the 1980s his relations with the organisation he had started were restored under the encouragement of the Swedish secretary-general Thomas Hammarberg and Richard Reoch. He also founded the organisation, Christains Against Torture. In his later years Peter Benenson lived out of the public gaze. He rejected successive governments' offers of a knighthood, as he did offers of honorary degrees. Injured in a serious motor accident and suffering from coeliac disease, he was constantly visited by Margaret, Susan, his children and grandchildren and numerous friends. 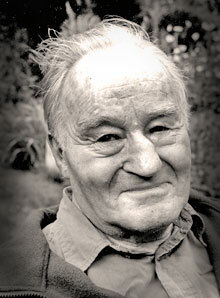 Peter Benenson died in Oxford on 25 February 2005.